People ask me if my stories are based on true events and the answer is yes and no. The trick of writing fiction is creating a verisimilitude which is creative way of saying it is something that has the appearance of being true or real. I take things I see whether it is a person, a setting, an object or even a phrase (like The Story of the Sapphire Necklace) and build a fake story around it. On the flip side, sometimes I take a real story and embellish it to make it more exciting. Somehow I have to write a story that is not true to be true to life so you will actually think that it might be true! It is similar to what kids do when they tell their personal stories and add a few extra details and what do we as adults say? "Are you telling stories?" Children are warned not to lie and tell stories, but as an adult as long as you publish your story under the label of fiction, everyone loves it! 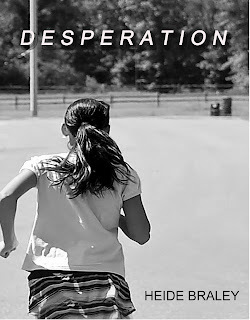 I finished my short story about a young nine year old girl who has to walk to school for the first time in a new neighborhood. Her walk is beset by terrifying things that force her back home, except that she can't get there. Here is the link to Desperation. I hope you enjoy it. It should be live on Amazon this afternoon. From time to time, I take a break from my normal routine to think about what I am doing and if I should make any improvements. One of the things I want to do is to improve my style of writing. My education in grammar and writing was a long time ago and although I am sure I didn't forget too much, I would like to refresh my memory. One way I found I can do this is to sign up for a subscription to the online version of the Chicago Manual of Style. You can try the online version for free for thirty days if you don't want to commit to a year's subscription. Everyone tells writers to produce better content which for me, means to slow down and take the time to polish my work. I admit that I struggle with this as I tend to want to get my work out of my hands as quickly as I can after I have written it. However, if I wait, there are always corrections and ways of improving what I say, so I know it is worthwhile. Ideas that are interesting and important. Ideas are the heart of the piece — what the writer is writing about and the information he or she chooses to write about it. I will post these somewhere on my laptop and try to read them before publishing any of my stories.. I love this time of year when the sunlight becomes more intense even if the air is still cold in the mornings. 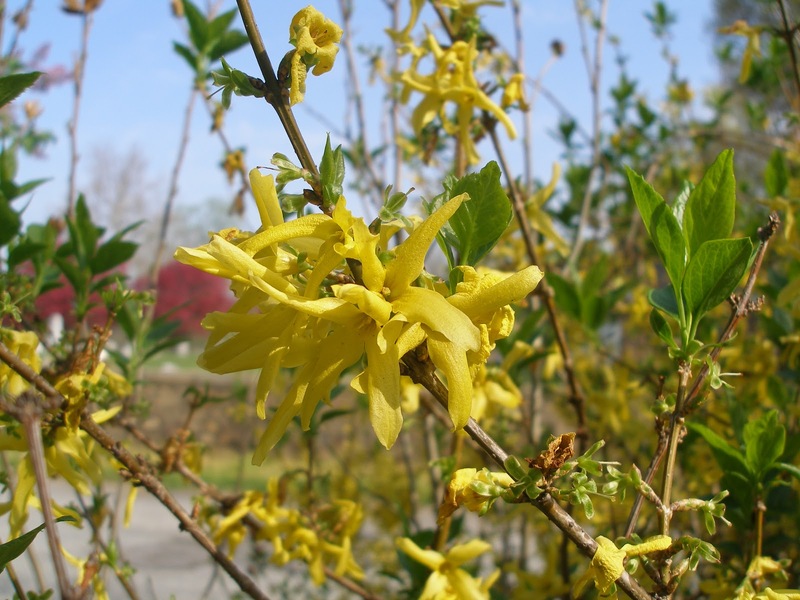 There is something inspiring about the light - it seems to want to wake us up from the slumber of winter. Any lights left on from the earlier dawn pale in comparison with the intensity of the spring sunshine, pouring in all the east-facing windows and stretching across the room. The stripes of light reach across the floor as if they are trying to touch us and draw us outside into the full light. Sometimes I wish I could live in a home with a glass ceiling so the light could pour in at all times - but I know there are lots of reasons why not so I just enjoy the window light for now..
Today is the 55th day of the year on the Gregorian calendar which means that we still have well over 300 days left in this year. Today, I wrote the story, It Was Just An Accident, about how a little prank can go sour. It is a light story and a quick read for those of you on tight schedules - probably most people. I used to pull a lot of pranks as a kid, hoping to cheer my friends up but now I think too much, knowing how simple acts of stupidity somehow have a way of causing more harm than good. That being said, I am still a fan of a well-thought out prank, once in a while. I was reading in Writer's Digest about all the writing contests they list. If any of you are poets, they had several contests you could enter as well. Registration is free to the site. They also have a free download for learning How to Write and Sell your Fiction. I am having fun with writing fictional short stories. I look for something to get an idea started and from there I develop a story around it. The tricky thing is finding the conflict that makes it a story. Today, my newest short story, Asleep on the Beach is live on Amazon. It is a story about a housewife who takes some time off to enjoy a nap on the beach for a few hours and ends up being anything but relaxed. 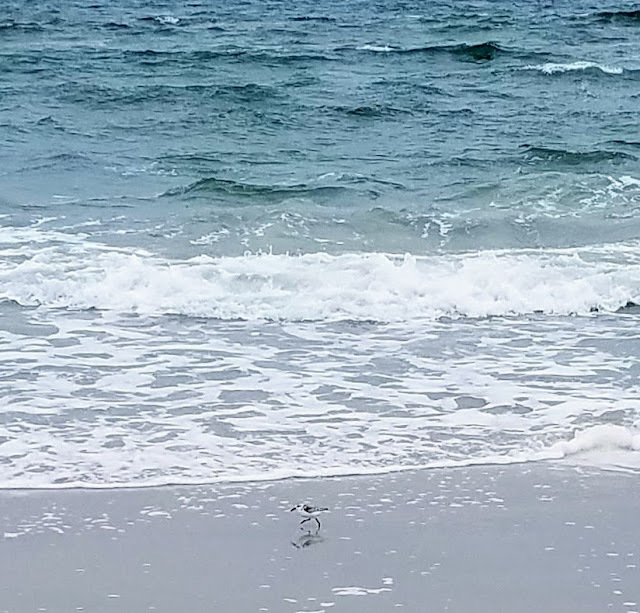 Today I am writing a short story set on a wind-blown deserted beach. That's all I am going to tell you right now. I was reading a little on Wendy Palmer - a writer from Perth Australia now living in Malaysia and how she gets her inspiration. She says, "For me, it’s about keeping eyes and eyes, and mind, open. One good source of ideas for your fictional creation is the non-fictional world all around us, and by learning to keep a part of the mind open to ‘what if’s in what you’re seeing and reading, you might find your premise or plot." Maybe you hate watching the news, but if you are looking for great story ideas, it is a fantastic jump-off point as the networks work harder and harder to find every unusual and outlandish story to compete with each other for viewers. Many of their headlines don't go into the story or the details, making it perfect for you to embellish. Being a free-lancer means you have to work harder for yourself - as opposed to working for a boss. To do that in the fiction business, you really need to enjoy the intrinsic value of the writing process itself as that is what will produce the good stories. All the editing, marketing and publishing stuff is secondary, albeit still quite necessary. If you are looking for someone to hire you for a writing job, check out Hyperlink.com. They offer to pay for your writing plus royalties. Just mention that I sent you to their site (please and thank you). Too bad I am not a little closer to Louisiana! I would love to enjoy some of the festivities, but most especially, the good Cajun food. But since I am not, I will focus on what is at hand - writing. Today I wrote a story about a couple whose 18 month old child was misdiagnosed with a rare and incurable pulmonary disease. It is on Amazon as, Wrong Diagnosis. My e-book, The Meanderings of a Pen has strong sales already and I found a site called Quotations Diary that will publish quotes from your book. Here is a link to what they did for me: http://www.quotationsdiary.com/indie-authors/quotes-from-the-meanderings-of-a-pen/ . Check it out - it's pretty cool. I was reading through some writings today about the actual rules for writing. Some people say not to write in first person, others say don't use adverbs. Some even say you shouldn't describe the characters in your stories too much or it will conflict with the reader's imagination. So many good pieces of advice but I think the best rule is just to write. Keep writing and you will correct those mistakes as you advance in your craft. In the Ten Rules for Writing Fiction from the The Guardian, one author makes the point, "Nobody is making you do this: you chose it, so don't whine." I had to laugh. 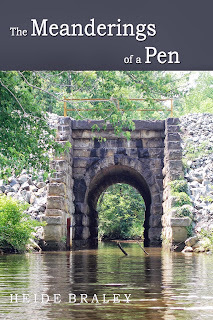 Today I published my first e-book on Amazon, The Meanderings of a Pen, a Collection of Short Stories. It is just that, a compilation of several of the stories that I have written over the last couple of months. It will be less expensive to read the stories in this book, than if you purchase them individually as singles. So onward, with my adverbs, exclamation points and commas under tight control - I will start my next collection of stories, hoping to entertain my readers with each of them. Today is an absolutely gorgeous day! I have only just got started writing but that's alright. I had a dentist appointment that went just great and then had to take my daughter to have three wisdom teeth pulled - poor thing! Life doesn't interrupt my writing, it just helps my writing. I think it is the circumstances of life, both good and bad that help create our characters. The people that I like listening to tend to have lots of experiences under their belt, and I hope that as I experience love, hurt, loss and success, others will enjoy my words as well. I have been able to write and publish three stories this week. The process is amazingly enjoyable, although I guess the editing gets a little boring. 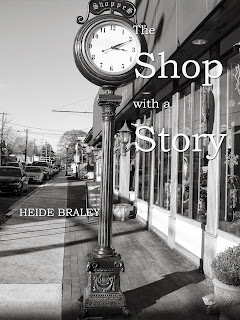 Today's story going live on Amazon this afternoon is called, The Shop with a Story and is set in a town like mine here in North East, MD. Of course, it is only fictional and none of the characters are real but I like to think that it could have happened. Once the story starts, I feel like I am in alternate time and seeing the things evolving around me as the story progresses. Sometimes, my husband Eric will look at me and wonder why I am looking so sad or happy, depending on the mood of the story at that exact second and it takes me a couple seconds to snap back into reality. Today I wanted to mention to my fellow freelancers that you can always look for writing jobs on Craigslist in your area. Just pay attention to the posted warnings and you may find something interesting. The old glass door swung open with a jangle of bells as I pressed the worn brass latch down and pushed gently. I stepped over the worn threshold letting my hands pass over the solid wood of the tall door frame with its height of eight feet or so that reached almost to the ceiling. The floorboards were wide pine planks with plenty of knotholes showing through. The cool air felt refreshing as I stepped out of the humid summer heat. “Hello and thank-you,” I answered trying to focus on the slight figure behind the counter, pushing my sunglasses up into my hair. As my eyes grew accustomed to the darkness of the shop, I saw a slim but well-wrinkled lady with a head full of gray curls. She had a pen in her hand and was writing in an old leather-bound book that looked like a ledger. There were two or three other people in the shop looking at some antique blue pottery vases in the corner. “Let me know if I can help you,” her voice encouraged me. I smiled at her and stepped over to look at some hand-blown glassware she had in her window display. The objects in the store were beautiful but nothing that I found useful so I meandered around, enjoying the chance to cool down. I had hoped that this was the shop I was looking for, but there was no evidence of any books anywhere. Valentine's Day is a holiday I have enjoyed every year for at least 26 years since Eric and I have been married. Before that, I hated the pressure of wondering what kind of embarrassment I was going to have to deal with or almost worse, what kind of rejection I would feel. 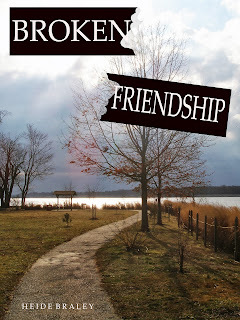 Those tumultuous days of high school are the setting for my story for today, Broken Friendship. It is a romance, of course, as Valentine's Day is always a good day for being romantic. The path of life leads us into relationships with others where most friendships pass on with time while a few others stay with us as cherished belongings. I hope you enjoy my story. I did finish up my latest story, Snow Dog, and it is live on Amazon. If you wait until tomorrow, it will be a free download for a couple of days. Sometimes writing short stories is difficult because I barely get the plot going when I have to wrap it up for a conclusion. I guess that is why 'practice makes perfect'. I have had readers tell me they enjoy my short story format for a quick read when they don't have the time to bury their heads into a novel, so that's encouraging to hear. Yesterday, I used the old fashioned pen and paper approach to writing so I could sit by the water in the sun. It was full sun, but windy and below freezing so after a couple of hours, my bones were pretty chilled. I still enjoyed it and will probably sit out there again when the sun comes back. Freelance writing opportunities are still out there. I saw one in my email from a firm in Houston Texas that is looking for content for their website that provides news and information for people planning for retirement. Here is a link for more information: Houston job. 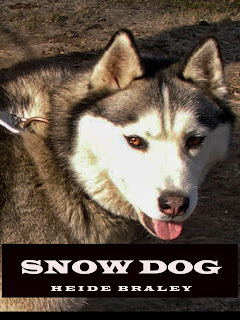 Today I am writing a story about a rescued dog and his owner in, Snow Dog. I think that many people either owned a dog as a pet at some point in their lives or wished they did. Stories of animals remind us of our childhood and the drama that came from the relationships we had with our pets. The combination of child and pet is simple, unlike most other human relationships. Dogs just flat out love their owners with a consistent and unrelenting love as long as they are fed and sheltered. Kevin, the main character in this story, rescues Snow Dog shortly after he moves into the neighborhood. Almost immediately the dog proves loyal to him, providing a friendship for life. I hope to finish the story by this afternoon, since it is too cold to work outside much today. For those of you interested, check out the Examiner for freelance travel writing jobs in San Francisco, Miami and other areas. The details are listed on LinkedIn's site here. I didn't notice any for my area, but maybe you will have better luck. One of the things I would like to do on this blog is to help other writers find sources for writing gigs. We are all looking for ways to put some shillings in our pockets so I will highlight one or two every few days. Feel free to comment if you know of others. The first company that I will mention is Trazzler. I will quote directly from their website, We know you are out there writing, taking photos, sharing with friends and family, an endless pool of talent and vision. Platforms for sharing information about places abound. Editorial vision does not. Three years ago, tired of rants, writing designed for search engines, and glorified Yellow Pages that list every last Burger King, we decided to take a more thoughtful, human approach. Our guarantee: on Trazzler, your work will always be in good company, surrounded by smart writing and excellent photos. Create your own beat (nail it and we'll make you an expert). Our weekly contests are designed to be fun and thought provoking. Real editors will read, ponder, and collaborate with you to make sure your best work is rewarded with a professional portfolio, recognition, and even writing and photography contracts and prizes. Check it out for their contests as well as useful information. When you start to think your goals can't be met, remember there are others before you who have done it. Look for their wisdom and instruction. How many of you have children's stories tucked away in your memory either from your childhood or when you told your children stories. 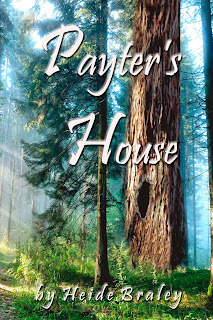 I have one that I used to develop the story, Payter's House which is now live on Amazon. I made it up years ago for telling to a Kindergarten class and they were enraptured by it. One of these days I will find an illustrator to bring it to life but in the mean time, it will live in the imagination of the readers. I wonder how many writers still like to use a pen and a pad of paper over a computer? I find it refreshing to use a pen once in a while but my fingers are a little slower at cursive writing than they are at playing the keyboard. When I want to get outside and enjoy some sunshine, my computer screen is unreadable and writing on paper is my only alternative. I like sitting outside to find inspiration for new stories from the animals, people and general life living just outside my periphery. Writers' Digest has an interesting article for breaking through the block in their article, How to Overcome Writer's Block Like a Bestselling Author. Another tool I like to use is to put down just words on a page. One word conjures up a lot of imagination in my brain and when I surround it with other words, a story evolves. For instance, maybe I would write dog, snow, car, speed and I bet you would already be thinking of a story. I like to use regular things that I see or hear and develop a story from there. A long time ago, when I was a girl of about ten years old, I remember Uncle Ray coming into my life. I didn’t know anything about him before that and never really cared to ask anyone. Maybe I was self-centered, but I think most kids are at that age. The reason I remember him at age ten is because that is when my life changed drastically with the death of my father. He died simply - nothing dramatic or earth shattering that would make the morning headlines in the newspaper; it was just a car accident to the rest of the world. He was driving home after work one day and was driving down the highway as normal when a delivery truck crossed over the median strip and hit him head on. If my Dad had been wearing a seatbelt, he might have had a chance at living, or at least that’s what the police officer told my mother afterwards, as if that could help anything. He almost never wore a seatbelt, he didn’t think he needed to since he only worked five miles away. A simple accident they said, but they had no idea the depth of horror I went through thinking of my Dad being crushed against his windshield and the heaviness of the grief that made my stomach hurt for days. Death is never simple. I have been thinking a lot about values and virtues recently, specifically when I try to teach my children. It is not good enough to just state a value, I need to understand it. I think it takes time to understand human nature and it's only after we have taken the time to watch the results of living a certain way to ascertain whether or not we can recommend it. Why is it that some people will give until they have no money for themselves? Why is it that others will steal at every opportunity? Who has the better life? Obviously, we live in a society where stealing is a crime and so laws usually apply along with the punishment for breaking them. But what if there were no laws? Aren't there basic principles that would still motivate us? Maybe I should study psychology! My point is, I want to understand the true values in life and teach my children what I learn, absent from laws or religious superstitions so that we can all live fulfilled lives. For example, An article in Psychology Today (July 5, 2011) What the Wild Things Are by Samantha Smithstein reads, "The longer I work, the more unusual it is to find somebody who is just an alcoholic or even just a shoplifter...we see a lot of people who steal things for other people because they are trying to manage the impression of how others see them. This is manipulative but that's part of codependency-being seen as nice, generous, and financially affluent." I think so much of our perception of good and bad or success and failure is based on our society and not that easy to explain. 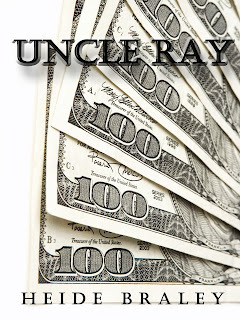 Today, the title I am working with is Uncle Ray, the story of a benevolent man and how he impacted the characters in the story. Just wanted to mention that with Valentine's Day just a week away, there is an ad on the right side of this page for Smilebox. I don't usually mention the ads, but this one has a nice program for making your own valentines for free. This morning I read an encouraging article titled Abundance written by Peter Diamandis and Steven Kotler in Forbes Magazine (Feb 13, 2012). Their thoughts are that we, as a world, are on the verge of radical transformation with progress in so many breakthrough technologies that will make us greater gains in the next two decades than we have made in the previous 200 years. That is quite a positive prediction in the face of so many negative headlines. Of course, the breakthrough technology that concerns myself and other writers is the ability to self publish e-books to the public through online bookstores, like Amazon or Google ebookstore. It frees us from the traditional and almost impossible task of being accepted by the major publishing houses and allows our words an audience. Who knows how this move will transform our society? There are skeptics, but the change is still coming. I am encouraged to write and to change - to improve my style of writing and to be part of the short story market. 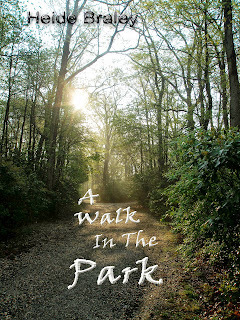 Today, my title is A Walk in the Park. You will see it listed in Amazon starting tomorrow as a free download for a couple of days. 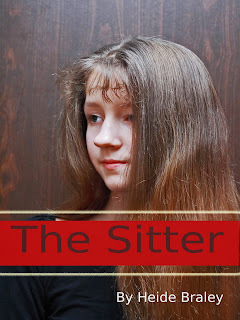 Today I finished the story of The Sitter, a short story about a girl hired to take care of the two young children of a banker. All is well until she wakes up to find the parents home and one child missing - certainly the nightmare of any babysitter! Its the end of the week and my book downloads are encouraging. Maybe I can come up with some good plots over the weekend. 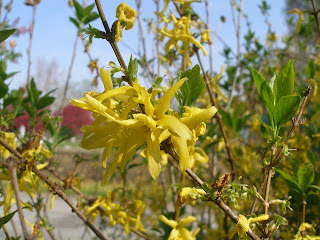 Thanks to all of you who follow this blog and read my stories! Reading fiction is always a fun pastime for me, although I must say it is usually a guilty pleasure as I always feel like I should be doing something more constructive. I was happy to read a blog by Anne Kreamer from the Harvard Business Review that showed studies that prove reading fiction is good for your brain health. It helps you to be a more empathetic person, understanding the emotions of others and improving your social skillfulness. So there. Read on with pleasure! Enjoy my short reads and help your brain! Yup! It's that time of the year again. Nothing I can do except to dive in and get our taxes filed. I will give a little plug to Turbo Tax because without it, I think I would have to hire a tax accountant. The bright side is that we usually get a refund so that gives me some incentive. On the writing side of my life, I am very pleased to find that over 800 copies of my stories were downloaded from Amazon! (Check this page out) That was just over the last three weeks. Since I offered free promo days, the royalties are not much, but the future looks promising! 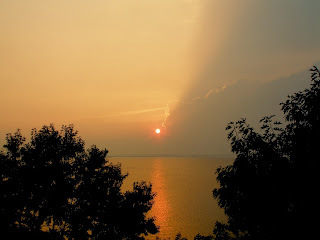 Here is one of may favorite spots overlooking the Chesapeake Bay at sunset. I can just imagine being out on the water again and enjoying the beauty of being sandwiched between the water and the sky. I finally finished my story, The Story of the Sapphire Necklace. It was a fun story to write but it took a lot of research to keep the history straight. Since the weather was so nice, I opted to go back to the old fashioned way of writing with a pen and paper so I could sit outside without squinting at my laptop screen. Getting into the story was a fun journey and I hope that my readers can feel themselves being pulled in. Today is another record-breaking warm day so I want to get outside and enjoy it before the damp days of February take hold. Probably take a nice drive out to Lancaster, but we'll see. “Going, going, and sold!” the hammer struck the podium. Litza was so used to the words of the Sotheby’s auctions. Her life of studying at Carnegie School of Art was paying off as she climbed within the ranks of the appraisers. The hum of the room increased as the crowd got up to look over the recently sold items. One early American corner table that looked so innocuous was worth $750,000 and sold for $875,000. The amount of money people spent on rare items seemed limitless. Litza went forward to check on the next round of items up for auction. “Have you seen the jewelry that Bradley has lined up for sale?” It was Bernadette, a fellow art appraiser. “No, I haven’t had the time. Is there anything special? “She responded after assuring herself that her table was in order. “I’m sure I’ll get a chance to look at it before it leaves the house.” Litza replied as she reached for her buzzing cell phone.